Status Audio has always been about sound quality over gimmicky looks. They’ve kept that mindset with the launch of their the BT-1 wireless headphones. Take 20% off using promo code 20TOOTH and pay just $35, plus shipping. These bluetooth headphones blast sound for 12 hours while keeping it simple with a clean aesthetic. They pair virtually with all smartphones, tablets, computers, and include a micro usb cable. The headband is adjustable and the underside of the ear-piece houses the full controls — play/pause, skip tracks, and volume. 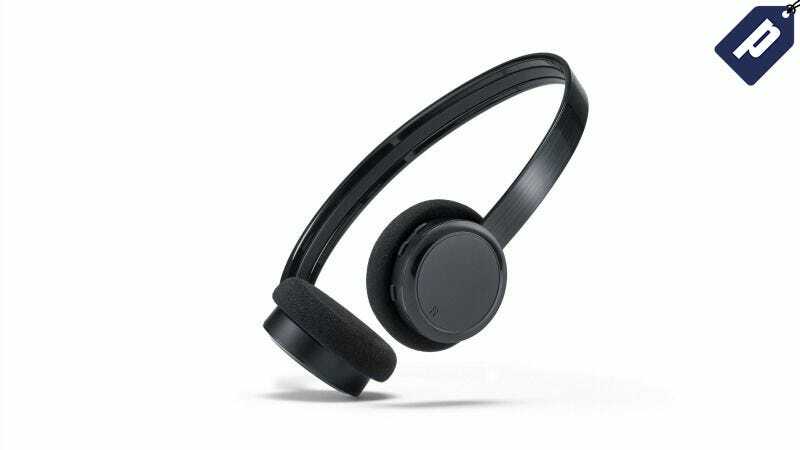 There’s even an integrated microphone for handsfree calling. With massive, full-range sound in a lightweight package Status Audio’s BT-1s answer the call to cutting the cord. Get yours for $35 with promo code 20TOOTH and save 20%.